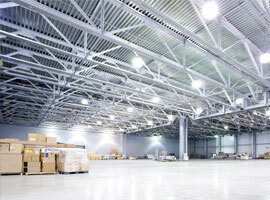 Many manufacturing and warehouses today are choosing to replace their currently outdated lighting systems. WCI Electric offers lighting retrofits to their customers. These upgrades easily reduce energy costs, plus they are also green for the environment. WCI Electric electricians commit to this idea and how our services can help our customers improve their businesses by keeping lighting systems up-to-date and in perfect working condition. Lighting retrofits are an efficient and cost-effective alternative to completely replacing entire systems. We use the newest technologies available to help you achieve your goals. Why should you choose WCI Electric for your business? • When you decide to hire WCI Electric, you will benefit by receiving higher light quality, enhanced safety on site and more productivity. • You will save energy and we will meet all your lighting needs. • Our customers come first. Our plan is to make sure that you are happy with the work of our lighting retrofit contractors. • Increasing efficiency with lighting retrofit makes a huge difference to your monthly energy costs. • Lighting retrofit upgrades are so cost-effective that they will pay for themselves and will continue to do so over the lifetime of the system. • Hiring WCI Electric to install newer technology will improve safety and increase worker satisfaction. The less electricity used means that your business will reduce its overall electrical usage. Lighting retrofits upgrades are also sustainable and with timely maintenance, will offer you all of these benefits for years to come. If you’d like more information, please contact us. WCI Electric is available 24/7 to answer all of your questions.